Bhutan is the only Mahayana Buddhism Kingdom in the world, with Mahayana (tantric) Buddhism as its official religion. It is practised throughout the entire country by 75% of the inhabitants. 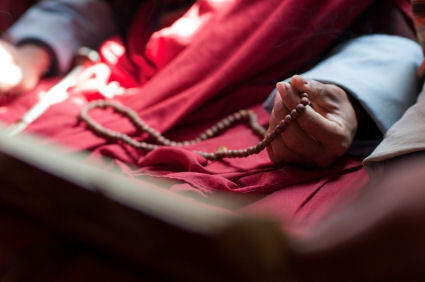 Hinduism – closely related to Buddhism, is Bhutan’s second religion, practiced by about 25% of the population. 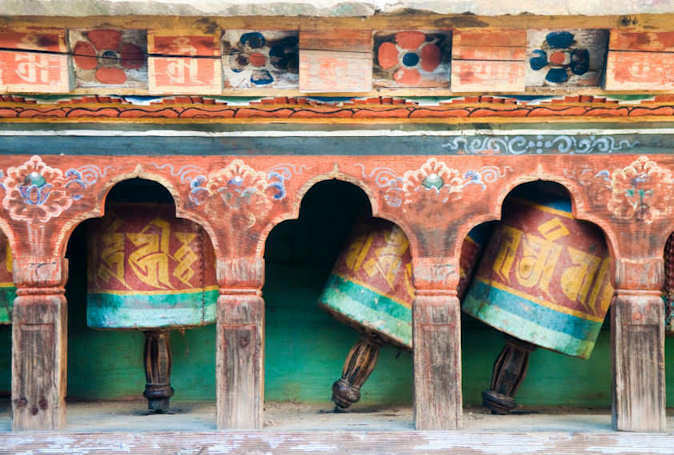 Before Buddhism captured the heart of Bhutan, several forms of animistic religions were practiced. Minority groups still practice these traditions and rituals in some parts of the country. Buddhims plays a fundamental role in the cultural, ethical and sociological development of Bhutan and its' people. You see this in the reverence Bhutan’s inhabitans have for their land, other people and animals. To ensure that Buddhism stays vividly alive, one son from every family usually attends a monastic school. The three main themes of Buddhism are detachment, ephemerality and change.